They're the rainforests of the ocean, but coral reefs around the world have suffered massive bleaching events over the past decades due to climate change and pollution. 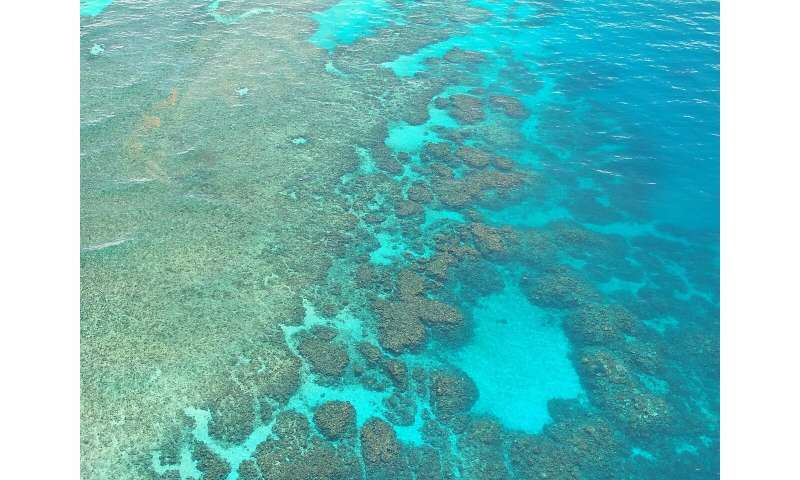 So how does a reef lose its colour? It's got a lot to do with algae. An estimated 29% of the Great Barrier Reef's shallow-water coral died due to rising water temperatures between 2014 and 2016. In October, Southern Cross University's Professor Peter Harrison and Queensland University of Technology's Professor Matthew Dunbabin won the 2018 Out of the Blue Box Reef Innovation Challenge. "Using an iPad to program the mission, a signal is sent to deliver the larvae and it is gently pushed out by LarvalBot", says Matthew. "As it glides along, we target where the larvae need to be distributed so new colonies can form and new coral communities can develop." "Coral reef larvae can be a bit fuzzy about the location where they like to settle in a reef," he told ABC radio. "What we are looking for is areas of reef that used to have lots of living coral but which currently have few living coral but lots of coralline algae." Thanks to the award, the pair have funding to scale up their efforts to restore the Great Barrier Reef. They plan to deploy their robots during the reef's annual mass coral spawning events in October and November. "With further research and refinement, this technique has enormous potential to operate across large areas of reef and multiple sites in a way that hasn't previously been possible," Matthew says. Despite LarvalBot's help delivering coral babies to their new homes, there is also a shortage of adult-sized corals. Tens of millions of adult-sized corals need to be produced each year for reef restoration, according to Australian researcher Dr. Taryn Foster. Taryn's project was an Out of the Blue Box Reef Innovation Challenge finalist. While in its early stages, she plans to partner with tech companies during her Fulbright postdoctoral research at the California Academy of Sciences to use 3-D printing and robotics to mass produce live coral. "The idea is to speed things up (and bring down the cost) so that mass production of coral will be possible," says Taryn. "My plan is to explore mass production for reef restoration with the support of companies that have the technology needed to scale it up to something that is effective at the reef scale."